Welcome to Ceramic Selection Series Introduction video. One of the most often asked questions in my classes through the years is material and ceramic color selection. I will keep adding to this series as new materials hit the market. 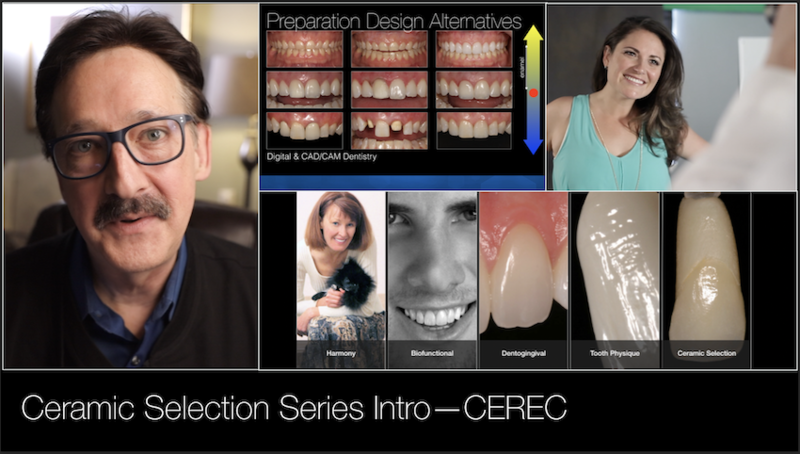 My primary goal for this series is to provide a systematic pathway to ceramic and zirconia block color selection for chairside CAD/CAM CEREC users. The closer the treatment is to the midline, the more critical our ceramic selection becomes. With all-ceramic dentistry, there is more than color. Other factors that will impact our ceramic selection is restoration thickness, the color of the preparation, material translucency, cement/spacer color, and final superficial gloss finishing. Let's get this thing started!